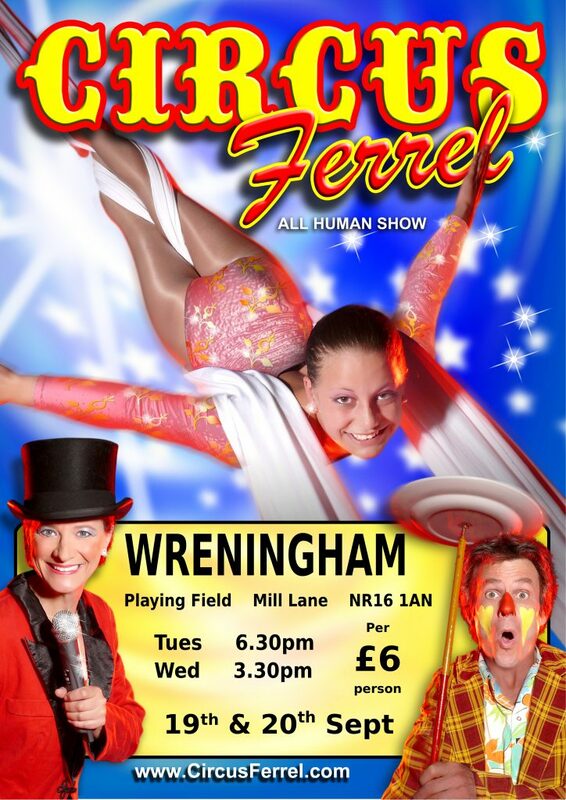 Circus Ferrel is returning to Wreningham playing field. It was last here in May 2015 for 2 or 3 days. So expect to see them on the playing field setting up either on Sunday 17th September or early the following morning. Wednesday evening they be gone – just like that! Access to the play equipment will be maintained. The school children will have several workshops in the tent with two shows for them and their family and friends: one Tuesday and another on Wednesday. Additional information will be posted when received.